The exam consists of 18 examined stations each of 9 minutes’ duration. Each of the 18 examined stations is ‘manned’. Some of the stations will have two examiners and some one. In addition to 18 stations, there will be one or more preparation station and one station that is being pre-tested. This pre-testing station will not contribute towards the final mark of the examination. Candidates will not be informed which station is being pretested. Each station carries a total of 20 marks. Using information from the structured mark sheets for each station out of 20, and the global rating for each station, a mark will be calculated out of 160 for Knowledge and 200 for Skills. To be awarded a pass in the OSCE, a candidate must pass EACH of the two grouped areas at the same sitting. Reading and revising from the right study material is key to success. 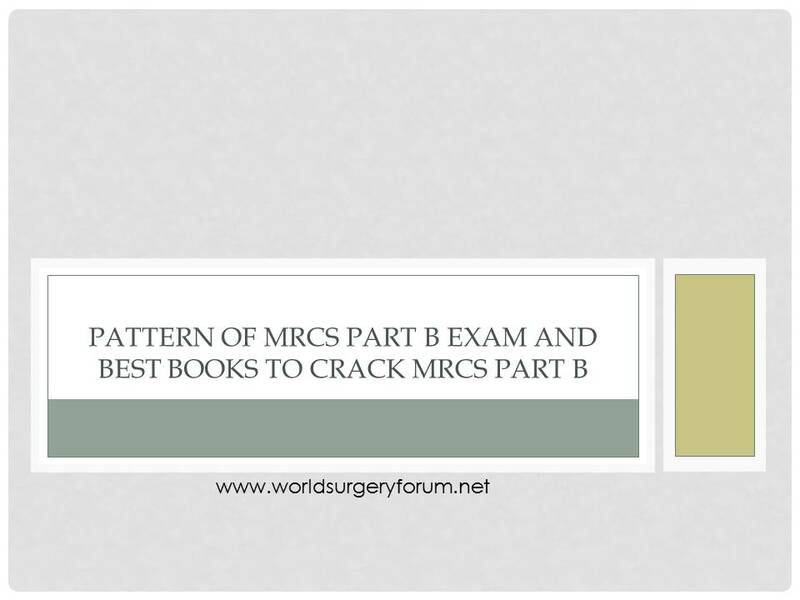 In the middle of myriad of options, here are a few books which are worth considering for your MRCS Part B preparation.